I see in Wayne’s book that there is an additional section of tin that goes on top of the cylinders from 3.0 and later aluminum blocks. I see no mention of using it on a 2.7 magnesium or earlier. What are the benefits or drawbacks to using it on my 2.7? I bought them fairly cheap, so no loss if it’s a bad idea. Last edited by rwest; 08-27-2018 at 02:51 PM..
Here’s a picture of the tin in question- it appears it blocks air at the middle of the cylinder where the fins are smaller. I was going to do this same mod to my 2.7. I did not end up using the later upper baffles as the cylinder cooling tins needed to be modified to fit them. I already had my cam towers installed by that time so I didn't want to back track to make them fit. 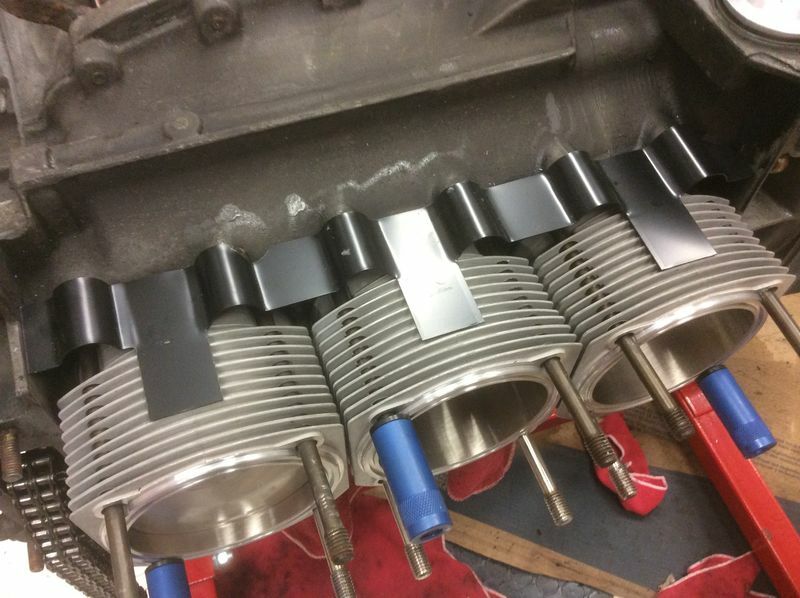 You will need the modify your 2.7 cylinder cooling tins to make them work. I was advised by another member here that it wasn't worth the time so I passed on it. Must be a heads up issue, 3.0/3.2 use it but the turbo 3.3 does not. Thanks for the responses, I think with your experience and the fact that Wayne doesn’t discuss using them on earlier cars that I’ll leave them off. 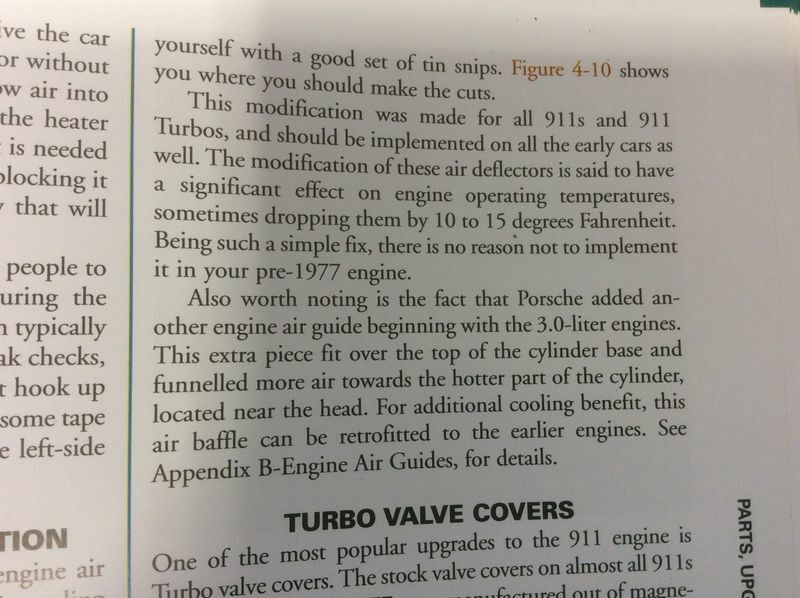 So just to report back, I did find the section of the book where Wayne mentions using them- he talks about the tin mods in two sections. The first section dealing with modifications says you can use them on earlier cars, so I went ahead and installed them.